When I first moved to Charlotte, North Carolina in 1988, I received a word from the Lord that Amway, a family-owned international corporation, understood some things about the kingdom that the church did not, but needed to. I immediately determined to find out what Amway knew about the kingdom that the church did not. I still consider these two of the most important principles of the kingdom I have ever learned. This week, we will discuss the first principle. Dexter and Birdie Yager had one of the largest organizations in Amway. Dexter once told me that only about 1% of the people who signed on with Amway would succeed, but they never learned how to tell who the successful ones would be. For this reason, they treated everyone as if they were the next big success story in Amway. Having been with the Yagers in restaurants and in their home on a number of occasions, I watched them live this out. They treated everyone as if they were the most valuable person in the world. They did so because they genuinely believed that every person is a treasure. After having known the Yagers for almost thirty years now, I have met people all over the world who have met them, which is not surprising with the thousands of people within their organization. However, what is surprising is how every one of them considered Dexter and Birdie great personal friends. If you asked the Yagers about these people, they would inevitably say that they consider them great friends too, whether or not they ever signed on with Amway. They just loved people and treated everyone as if they were the most important person in the world. Now think about our fellow members of the body of Christ. These are all true royalty, sons and daughters of God. How much more should we be treating them as the most important people in the world? What about those who do not know the Lord? How do we know which ones will come to Him, and maybe even become great apostles or prophets in the last days? What would we lose by treating them with such value? What is their value? We determine the value of anything by what someone is willing to pay for it. 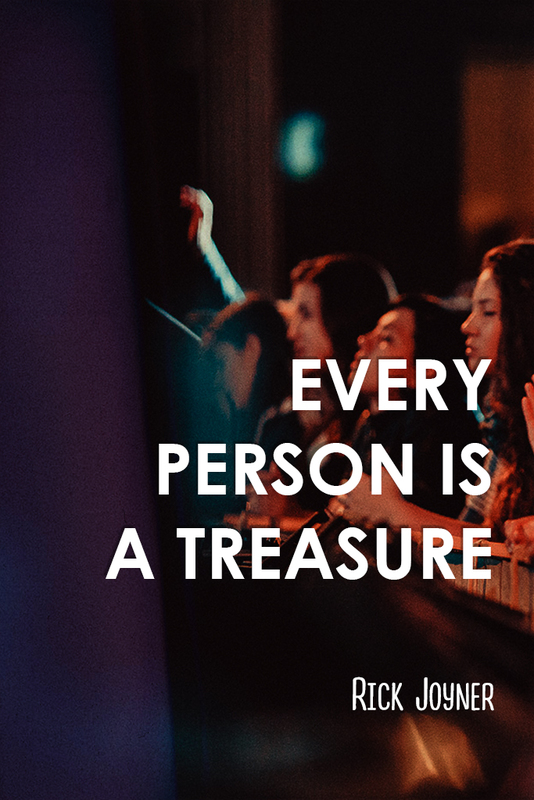 What value does God have for that person? He paid the ultimate price, the most valuable commodity in all of creation for all of eternity—the blood of His own Son. That is how much He loves them. If we are in unity with Him, we too will lay down our lives for them.